1.For this first of all download VirtualBox extension pack from here. Notice that the extension pack version and VirtualBox version should match. 2. Install this extension pack. 3. 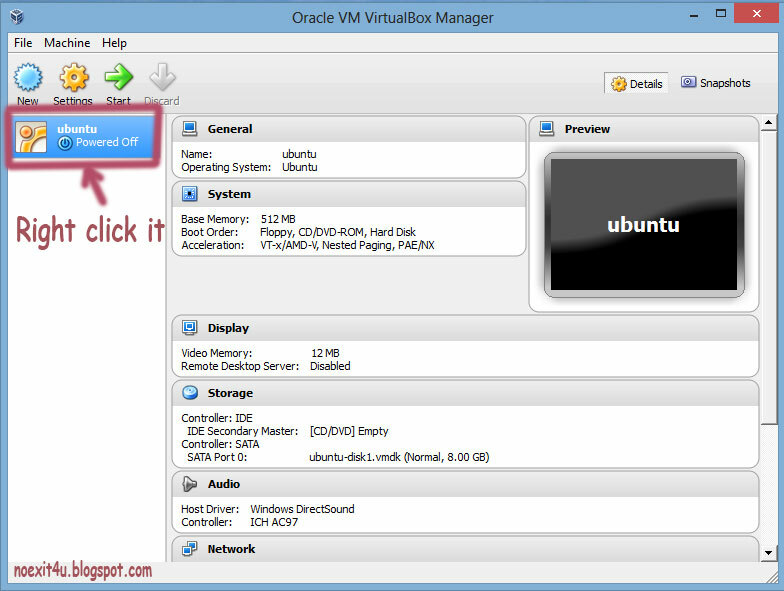 Right click on Ubuntu (see the image below ), go to settings -> USB. Click on images to view them correctly. 4. 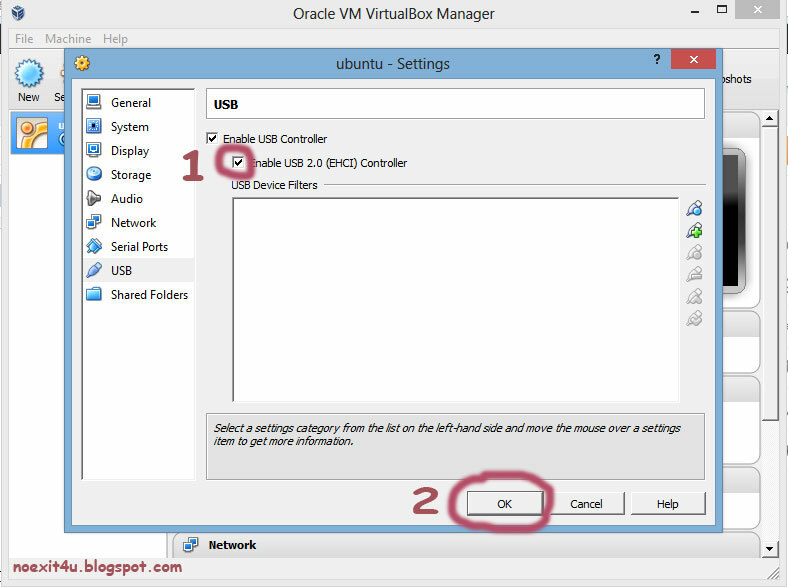 Tick " Enable USB 2.0 (EHCI) Controller " and Click OK.
5. 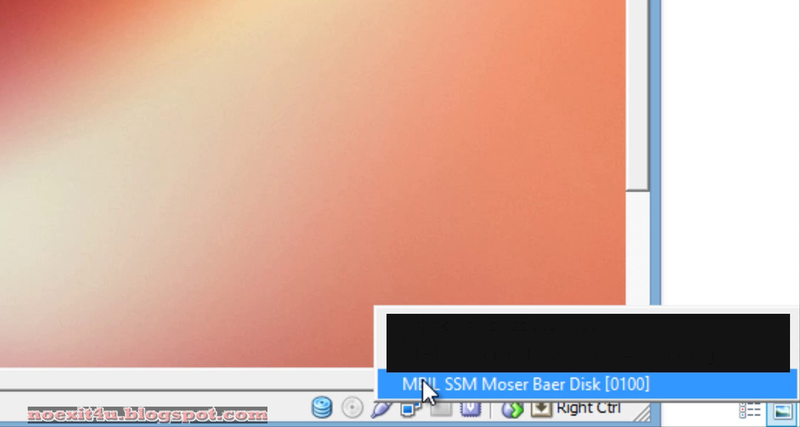 Now start the Ubuntu and insert the USB / PenDrive you want to access in Ubuntu. 6. 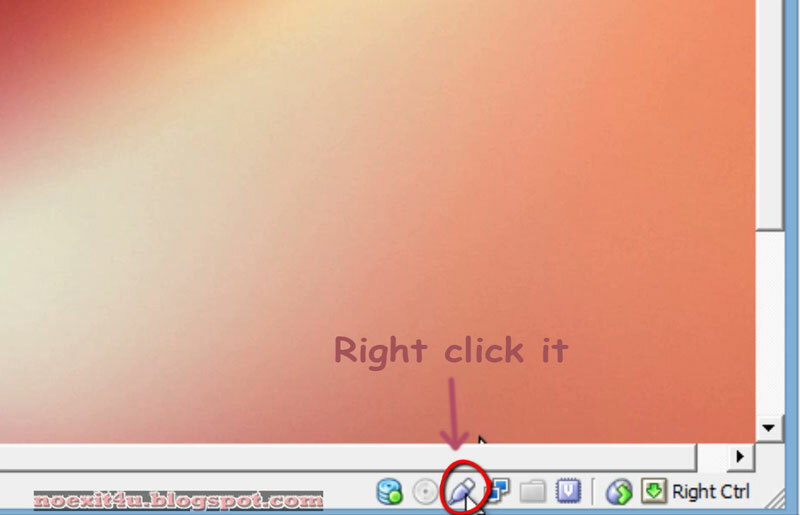 Right click USB icon (shown in image below) and select the USB you want to access in Ubuntu. 7. 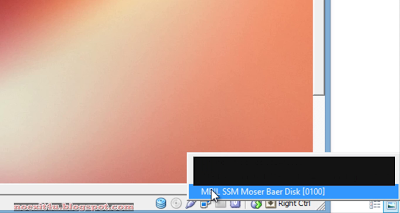 Now you can access USB/PenDrive in Ubuntu. 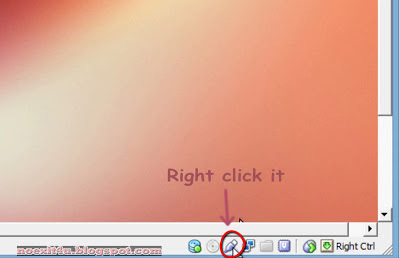 Have any doubt, to see video tutorial click here.